Includes artificial flowers with your choice of "grass"
Perfect d�cor for any luau, pool, or beach party! Create an authentic looking luau with this green table skirt. 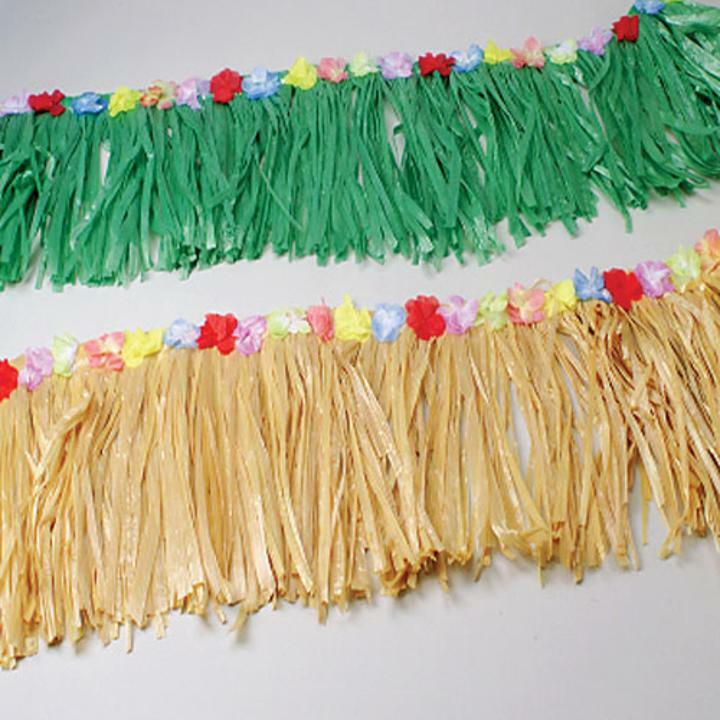 Luau table fringe are a great addition to your luau party supplies and decorations. L: 18.25 in. W: 5.8 in. H: 3.4 in.